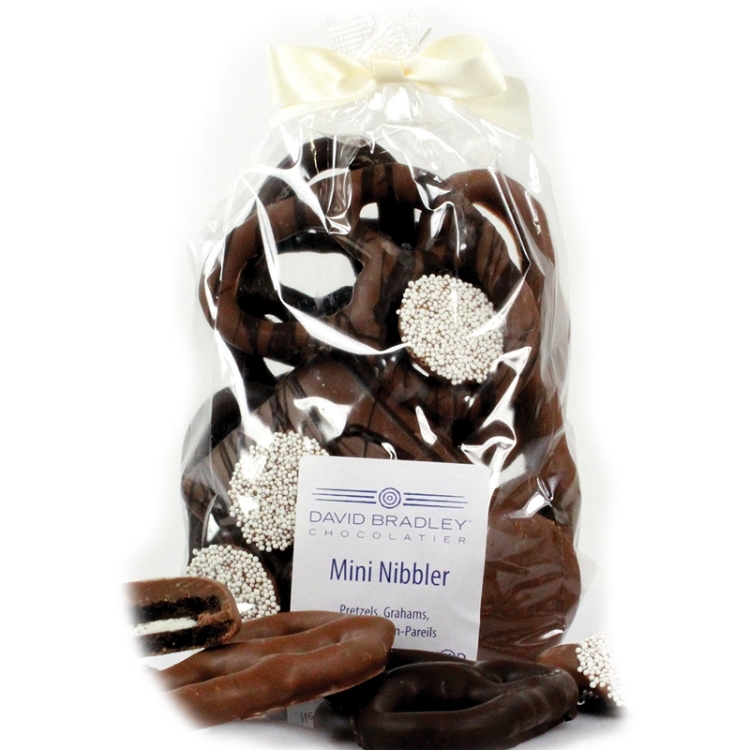 Ten ounces of our delicious milk and dark chocolate pretzels, graham crackers, non pareils nestled in a cello bag and tied with a bow. Net Weight 10oz. 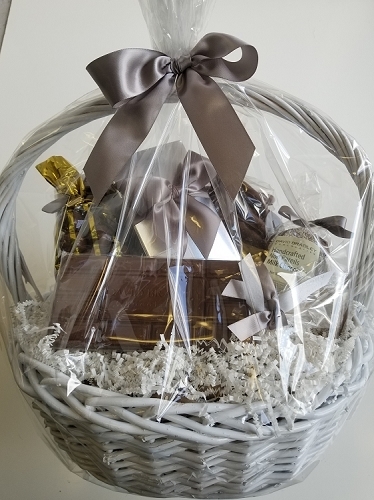 A great Easter hostess gift! Love the cute packaging! 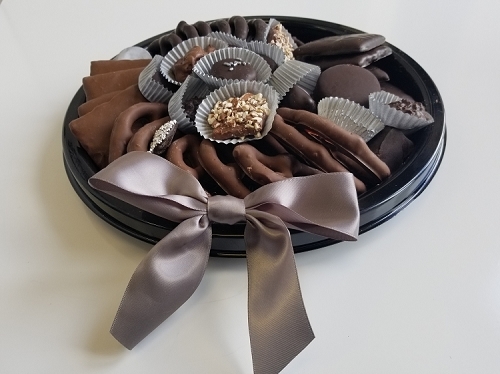 Just the right size and assortment for gifting. Candies are delicious. 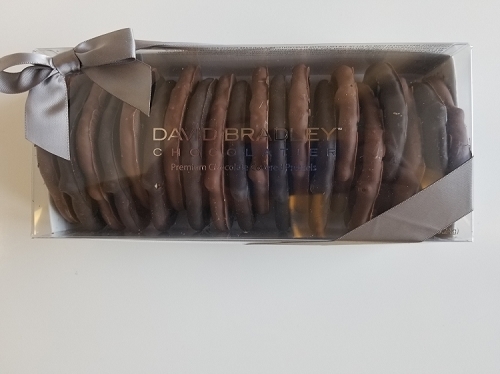 We especially love DB's dark choolate, and this sample is a great mix of both milk and dark chocolate as well as an assortment of the different types of candies.